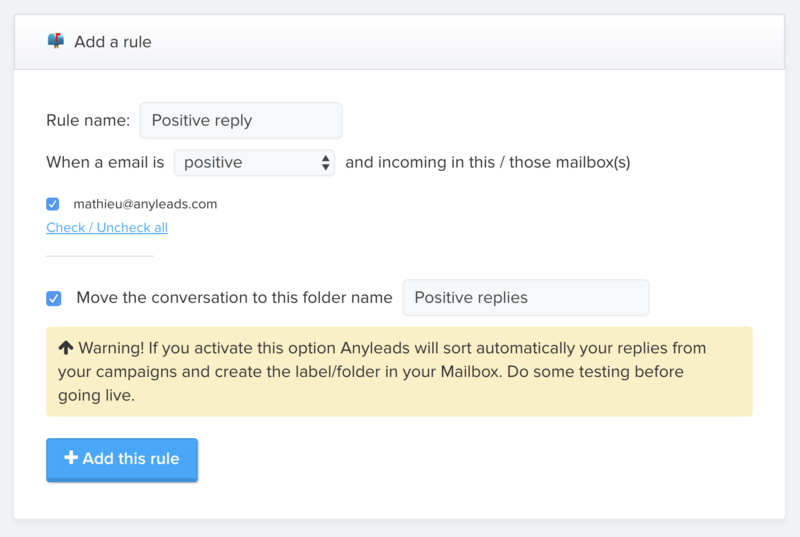 Automatically categorize your emails in your Inbox based on the sentiment analysis of the reply. Create your own rules to move your conversations in the correct folder to save time. Once a type of reply is matched by our system we will automatically move the conversation in a specific folder based on the sentiment of the message. 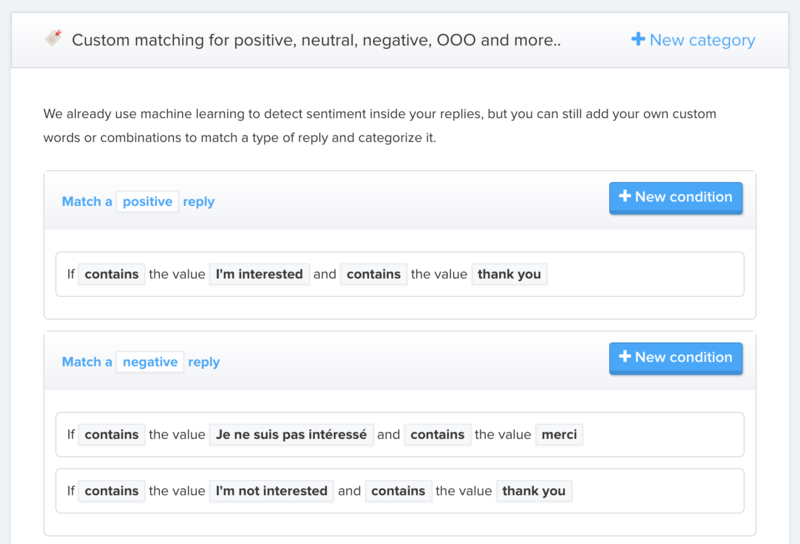 Add your own custom rules for matching a type of reply and categorize them by sentiment.